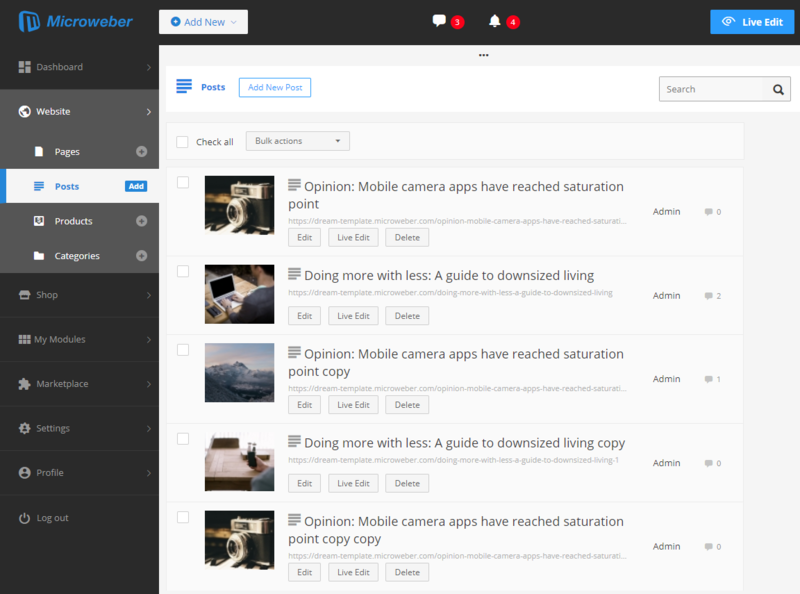 Microweber is packed with features that allow you to create and maintain your Blog. 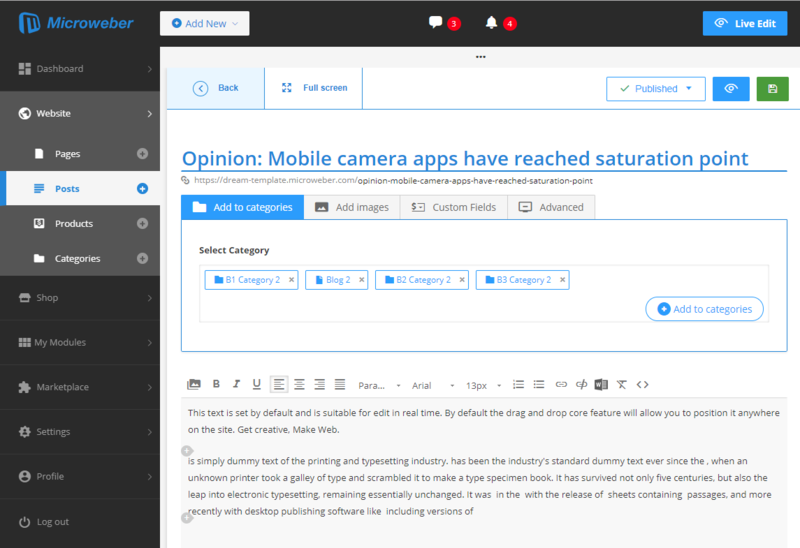 You can easily add new articles, write text to add videos, photos, organize galleries, and much more important things to have a fully functional blog. Here, we'll tell you about the functions the substation supports. 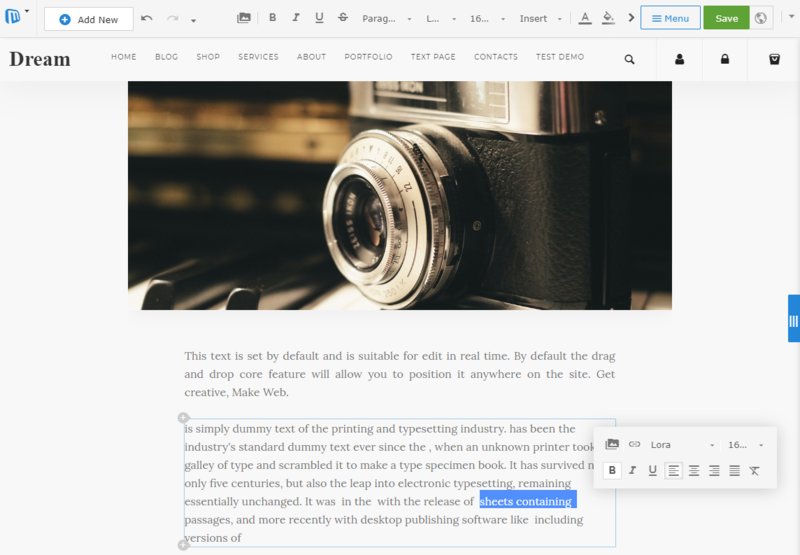 There are two ways you can write an article on your blog. 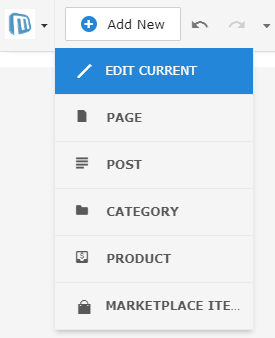 One is through the admin panel as shown in the picture below. 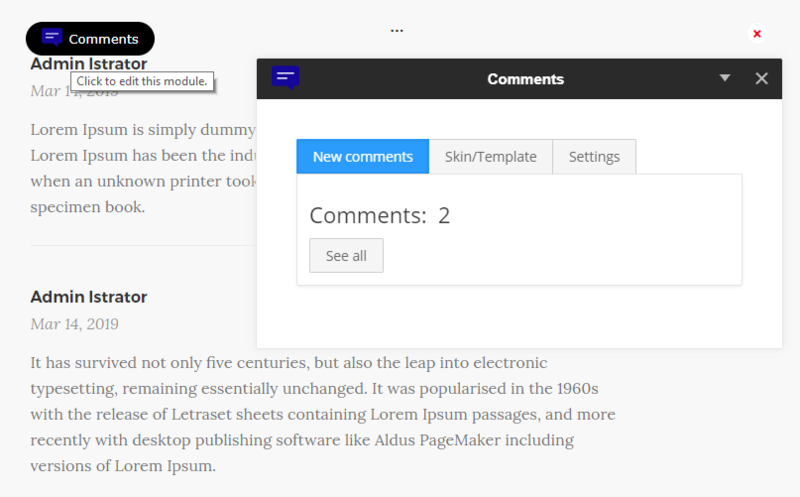 The other way to write an article is to use a Live Edit and to do it directly on your site. You choose which of the two ways is best for you. You can add new post also from here. Of course, not only writing a text is important to have a perfect blog or an excellent article. We know this and we've predicted that you have almost no limitations on how to make a perfect blog. With Drag and Drop, you can easily add images, videos, audio, galleries, buttons, and more. All this happens extremely easily and in a fun way.